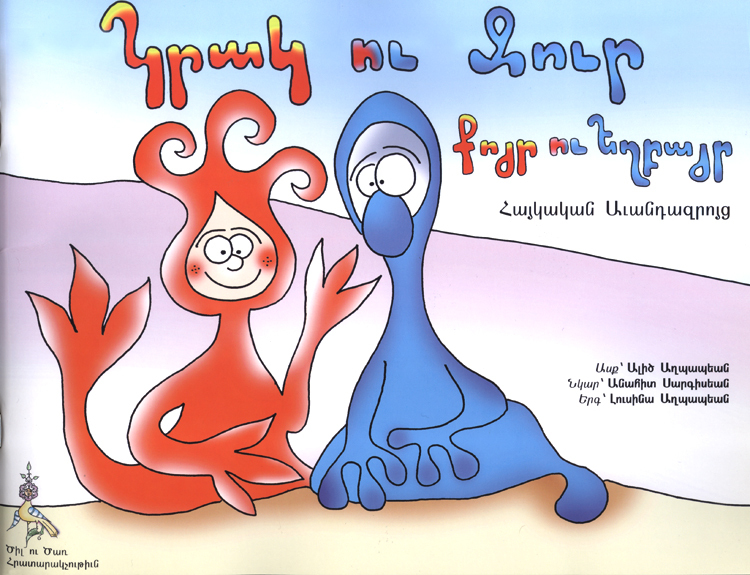 Կրակ ու Ջուր: Քոյր ու Եղբայր is a charming, classic Armenian folktale--written in Western Armenian--that tells the story of Fire and Water-- siblings whose childhood antics and rivalries pulled them apart. Read the story aloud with your children to find out how these siblings realized that they needed each other in their lives. The book includes sheet music for a song adapted from the folktale, which you can sing with your children to strengthen the lesson of family love.